The 50th anniversary season of the Combined Federal Campaign started Thursday and will continue through Dec. 15, the Office of Personnel Management has announced. 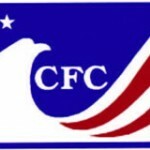 CFC, originally created by President John F. Kennedy in 1961, allows charitable organizations to solicit contributions from employees of the government, enabling federal employees to donate to their charity of choice through their payroll system. Why would anyone contribute to the Federal Campaign? Everyone hates federal employees. It would just be evidence that I am overpaid, have extra money, and make it clear that my benefits which have already been cut, need cut further. No, I think I would give to any charity before the Federal Campaign.